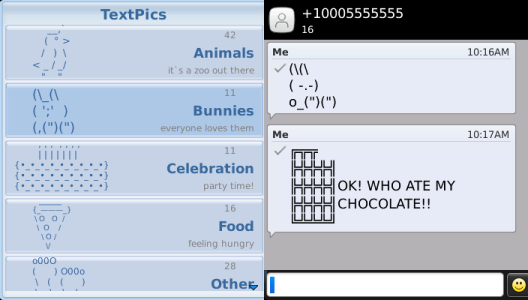 TextPics App for BlackBerry is a creative SMS, EMAIL, IM and PIN messages Art application. You can also copy to clipboard and use it. The app is on sale today for just $0.99.